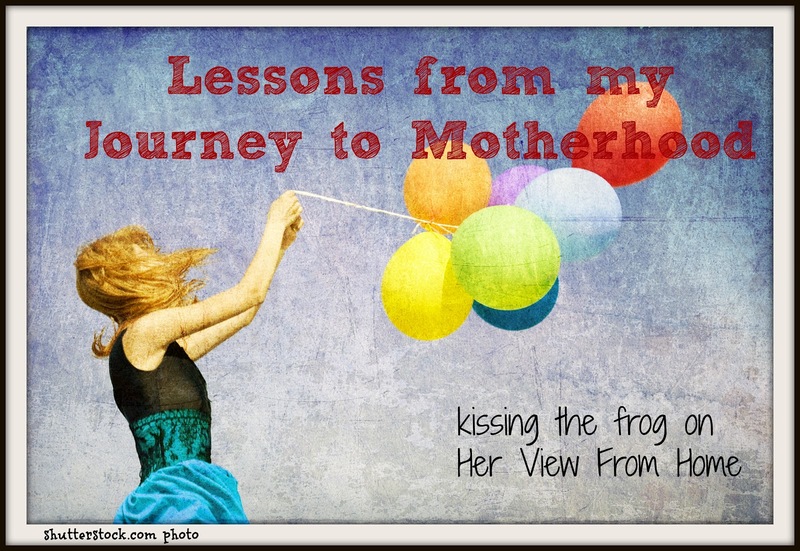 I've been thinking a lot this week about my journey to becoming a mother. There was a time when all I wanted was to be able to celebrate Mother's Day - as the Mother. It seemed to take forever for me to get there. Along the way, I was just sure I was the only one having fertility issues, the only woman who'd ever lost a baby, the only woman who was sad and struggling. As is my M.O. a lot in life, I refused to talk about it with anyone, staying silent in my misery and avoiding people - especially my friends with children - like the plague. But what I've learned since becoming a mother, is that everyone has her own story of how she got there. Sure, the women who get married, are married a certain length of time, then perfectly plan and space out each baby make me want to puke still to this day, but I get it - they were lucky (at least, they would have you believe no differently). Nothing about how one becomes a mother is ever completely easy. There are unplanned teen pregnancies and decisions to be made about abortion, adoption, or acceptance. There are struggles to get and stay pregnant - surgeries and procedures and bed rest. There are birth plans that get tromped on, there are emergency C-sections, there are exhaustion and depression and surprises we weren't ready for. Every woman has her story. I'm at Her View From Home today sharing a part of mine. Please head over and join me.